The New Jersey Division of Gaming Enforcement is currently reviewing documents that Amaya Gaming has presented in support of PokerStars, after the news of the acquisition deal with the Rational Group. According to PokerUpdate, the DGE is currently covering three main areas to allow PokerStars to operate in the state. These three areas include the review of the technology that is used to power the software at PokerStars gaming site. The DGE is also reviewing the names listed on the executive and management positions of the company, as well as the corporate structure of the Amaya Gaming group. If these areas are approved by the DGE after much scrutiny, PokerStars could be available in the state of New Jersey by the fall season. The Department of Gaming Enforcement met with Amaya officials last week and the new documentation was handed over in the hopes of getting PokerStars into the state as quickly as possible. PokerStars has focused on using the state of New Jersey to reenter the US online gambling market. The company first tried to gain an online gaming license but had their application suspended due to company executives who still had ties with Black Friday indictments. The company now has a chance with the recent acquisition by Amaya Gaming. With this change, PokerStars should see the bad actor classification removed in the state of New Jersey and be able to offer online poker game play, hopefully by the end of the year. 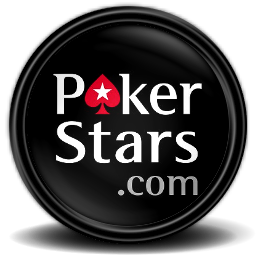 As the top provider of online poker options, every interested party in the poker industry has had their eyes on PokerStars. New Jersey already is the number one provider of online poker gaming in the US and with the addition of PokerStars the state will have a major advantage. Over the next few weeks we should be able to see if PokerStars will be allowed to operate thanks to the recent owner change.